The Grand Junction Colorado Guide is part of the Colorado Promotion marketing network of local Colorado Businesses, Colorado Events, Colorado Coupons, Colorado Restaurants, Colorado Lodging Deals, and more. Are you the owner of a Business in Grand Junction Colorado? or Do you work with an Grand Junction CO Organization or an Grand Junction Event? 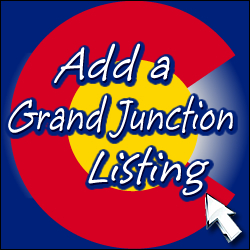 Add your Grand Junction Colorado Listing today! © Grand Junction Colorado Guide All Rights Reserved.